OLDRIGHTIE: Behind The Bank And Government Corruption. Behind The Bank And Government Corruption. The Reality Of Their Greed. Wootton Bassett gave us a chance to say thank you. That was quietly taken away by the same Mandarin nasty and secretive people who run Whitehall and manipulate the ineffectual Westminster Club. Of late the obvious weaknesses and ineffectuality of politicians has become more and more noticeable. They are the front men for the real power carried on over lunches and dinners, held in secretive and private clubs or luxurious hotel suites throughout the World. These people are the shadowy "fixers" at G20 and Bilderberger summits. Whist the floor show concentrates on the risqué pole dancing for MSM and public consumption, the Mafia bag men meet with the faceless middlemen. The "diplomats" arranging meetings and cash transfers, together with instructions for the coming tactics for ensuring their corporate clients and drug barons are not disturbed. A torchlight on how the fixers control the agenda can be seen in the link given. One fact missing from the post, however, is that all of the political spectrum is part of the carefully placed funding cabals backing every horse in the quasi democratic stakes. Each of those betting on control and power are punters to the Mandarin bookmakers. Interestingly the Mandarins taught the political classes that the ends really do justify the means. Hence the persuasion in The White House, the collusion in Brussels and the whispering in Whitehall brought about the acceptance of the drug barons and their wealth into the "club" hitherto denied them. A well documented fact. It was at this moment the power shifted, even away from the Mandarins. Now disclosure is a serious risk to their health. Thus any sensible policies, such as debt forgiveness, the return of peoples' embezzled savings, equity and taxes and a consensus to get us out of the cycle of greed, now governed by the freedom from conscience gangsters in control, are beyond any once normal political and honest effort. These tiers of corruption are now topped by the gangsters, where once those people were bottom feeders. The banks and financial institutions are now at the whim of mobsters masquerading as Bilderbergers. It's not the new World Order dreamt of post the second world war. The one area of national life these crooks might still harbour some anxiety for is The Military. 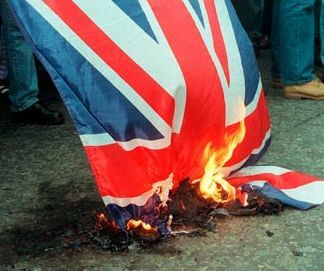 So is it that far fetched the armed forces are being dismantled, particularly in The UK? A A European Army and Police Force, drawn from every corner of the Planet and without a scrap of allegiance to anything or anyone but who pays and feeds them, is a logical step to make. One thing shines forth from all this. The people no longer matter. Feral kids educated in violently controlled swathes of populations all over the world, stuffed into ghettoes mimicking the global stage, controlled by corruption, violence and fear, is now all around us. Just as is the vainglorious sacrifice of soldiers fighting to protect the poppy industry heartlands. Men and women believing their sacrifices and lives are for worthy aims when, in reality, it is to assist the gangsters and their agents, to stay in control and hold on to assets (drugs) far more valuable than the paper promissory note and bonds of so called Governments. Mexico is showing the way we are all headed. There the battle for control is enacted on the streets daily. Murder is the norm, democracy the bystander. It's impossible to separate the wheat from the chaff. Within the military and police are individuals as loyal to the drug lords as they are to themselves. Decency and honesty long forgotten. Is that the way our armed services are to be directed? Why not. The mandarins and politicians are already signed up, even if they can't even admit it to themselves. 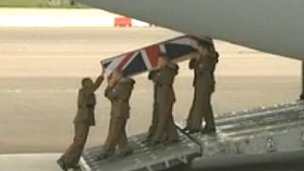 What a shambles, what a nightmare, as our troops are brought home in their coffins. Poppies, not roses, adorn their cortèges now. It was 'interesting' watching Question Time last night. So many false statements allowed to go unchallenged by any of the panel. I'm not sure if they're just ill informed or crooked. Probably both. The Taliban were anti drug and stopped poppy production. Since the illegal invasion poppy drug production is at record levels. I missed QT last night. So many political programmes drone on and never "hit the spot" ergo truth of what's really going on. The BBC2 drama "Line of Duty" did. Feral kids aged circa 10 years old shown as hardened criminals and mules.